Japan: A Final, Desperate Attempt to Stop Disclosure? When is a natural disaster not really so natural? As it turns, many, many more times than you may have ever realized. As we venture ever closer to the epochal year 2012, we have been hearing a great deal about Earth changes which have been hanging over us like some gigantic, proverbial anvil waiting to drop on our collective heads. Many believe that Mother Earth is reeling against the human race and has begun the process of shaking us off like a fleas on a dog. However, appearances, as they so often are, can be quite deceiving. What may look for all intents and purposes like Mother Earth creating one natural disaster after another, may be an entirely different reality altogether. And, In point of fact, these so-called natural disasters may actually have been induced by people whose intent was nothing but the most sinister, calculated and callous. So we have to ask ourselves –– how much of these apparent Earth changes are even real? And how many are actually man made? Many researchers have uncovered a staggering amount of factual evidence that indicates that, not only have but there been an endless series of manufactured wars in the name of religion, race, political conflicts and national pride, but there has also been another kind of covert warfare which has waged known as "weather wars". Since the 1970's, this kind of warfare has been battling on between countries such as the United States, China, the United Kingdom, Israel and Japan. All possess highly advanced scalar technology that can directly affect weather and geophysical events upon the Earth. Yes, this is the science fiction nightmare that we could never have imagined. The devastating 8.9 to 9.0 earthquake and subsequent tsunami that blasted Japan on March 11, 2011 was the worst ever in the history of that nation. And the fifth worst earthquake in the entire history of the world. The Japanese city of Sendai was hit the hardest and was closest to the epicenter of the quake. News reports out of Japan estimated that the tsunami waves were as high as 23 feet. The March 11, 2011 quake may well turn out to be the most destructive disaster to hit Japan since the atomic bombs were dropped on the cities of Nagasaki and Hiroshima during World War II. However, what is abundantly clear now is that this tragic disaster was not Mother Nature pulling the trigger, but rather, the intentional act of a demonic group of people with an agenda of fear, terror and intimidation. In fact, Japan was targeted by a dark and desperate cabal that has ruled over the Earth's people for some 7,000 years but has now come to the realization that their time is running short. The Asians, particularly China and Japan have been on the front lines of this battle and this was a direct hit at the resistance movement. The horrific earthquake weapon attack on Japan, resulting in 10 meter tsunamis along much of Japan's coast line came from rogue elements of the U.S. government located in underground bases in New Mexico and Nevada, according to pentagon and CIA sources. The next target will be the New Madrid fault line* in the South-Western United States, according to threats originating from the Nazi George Bush Senior faction of the U.S. government. This horrific event proved there exists an escalating war for control of planet Earth as Japan was intentionally attacked by what is known as tectonic plate weaponry. More recent reports suggest that rogue US Naval forces planted atomic weapons on strategic areas of the tectonic plates that lie under the coast of Japan with the intent of sinking the entire island nation and wiping out millions upon millions of people. Fortunately, those chain of events did not transpire as intended. However, other reports have indicated that there was a far more devastating disaster planned that would have created a super tsunami racing across the Pacific Ocean and wiping out much of the west coast of the United States, as well. If this had occurred there likely would have been up to 10 million additional deaths. Thankfully, higher forces, whether extra-terrestrial and/or spiritual, prevented this hideous scenario from unfolding. In addition, it appears that some of the troublesome nuclear plants in the city of Fukushima have been intentionally sabotaged by the same cabal in order to create world-wide panic over radiation fallout. There already is a campaign of fear spreading rapidly across the United States, particularly on the west coast. Japan may have also been targeted for several other considerations including the fact that they, along with Russia and China, have managed to finally break free from the control of the Federal Reserve death grip. Still other news reports indicated that the Japanese were preparing to announce a breakthrough energy technology which would have greatly diminished the world's reliance on oil and gasoline. The death toll in Japan may be catastrophic as more and more victims are either found collapsed under rubble or washed away by the tsunami. The tsunami that struck Japan has already been more destructive than the one from Christmas 2004 in the South Pacific due to the concentration of more homes and people. However, the southeast Asian tsunami in 2004 has also drawn a great deal of suspicion as many have laid the blame squarely on the use of HAARP weaponry, employed by the US military. HAARP is an acronym for the High Frequency Active Auroral Research Program that is located in Alaskan wilderness under the guidance of the United States Air Force. 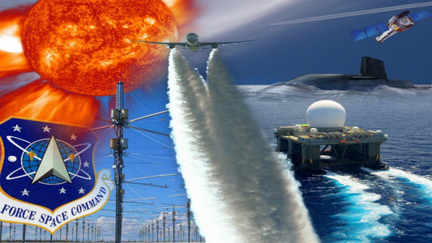 According to its official HAARP web site, the government calls it simply a research program. That is hardly the case. Rather, this is very lethal technology that can produce severe weather conditions and create devastating earthquakes and erupt deadly volcanoes. HAARP is an extremely sophisticated weather modification weapon based on the work of perhaps the world's greatest scientist Nikola Tesla, whose research papers were confiscated from his hotel room by government agents at the time of his death in 1947. 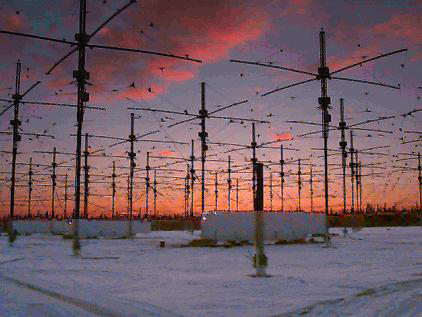 Unfortunately, we may witness more earthquakes, hurricanes, tornados and tsunamis, until those in control of these HAARP stations have been rendered defeated. That process is apparently unfolding now. Global warming, we have been told, is another resultant Earth change, that has gained more and more attention thanks mainly to the work of former Vice-President Al Gore, who produced the documentary film, "An Inconvenient Truth" back in 2006. Mainly, this film and most of the global warming hysteria looks to lay the blame on the people of the world for Mother Earth's environmental problems. With an eye towards saddling us with a new series of so-called "Green taxes", aimed at creating new revenue streams for the cabal's continued exploitation of the human race. In actual fact, global warming is happening throughout the solar system and all of the planets are experiencing climate change of some kind or another. Therefore, it is vitally important to understand that many of the recent so-called natural disasters and catastrophes over the last forty years, under the guise of either Earth changes or global warming, have been pre-planned by the powers that be. Most likely, these people have been assisted by dark spiritual forces residing in the 4th dimensional plane. Within the 4th dimension can be found the realms of the occult, black magic, sorcery and supernatural phenomenon –– all which can be harnessed by people within the 3rd dimensional reality who are well versed in these kinds of practices. Each and every one of the above disasters were linked to either a country or a race of people the dark cabal were attempting to punish or intimidate. Quite often, major world-wide events do not occur spontaneously or without provocation. That includes all wars, terrorist actions, assassinations, social or political movements and even, as we have now laid out, many weather and geophysical disasters. Realize there is is always an unseen hand behind these kind of life-altering. events. They never, ever happen randomly. They never, ever happen by chance. There is always an ulterior motive. So when we speak of the phenomenon of Earth changes, who is really playing God here? Man or the Divine? In fact, the answer is both! If indeed, these are weather and geophysical modification weapns being employed then they can be stopped! There is much more to the story than simply good vs. evil or light vs. dark. This is a war not to determine who is right and who is wrong, but rather to create a world that is ultimately unified in its totality. All of these seemingly frightful events are actually indicators that the world is shedding eons and eons of negative karma. As a matter of fact, at this very time, there is a monumental process underway to purge both karma and fear from the planet forever. Forever! 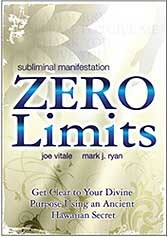 This most recent tragic event in Japan should ultimately serve a number of purposes as we prepare for a great shift of consciousness, beginning at the end of 2011 or into 2012. 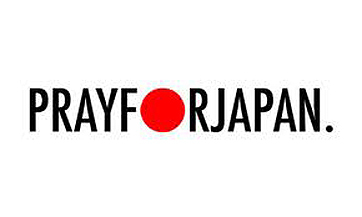 1) It will inspire a tremendous amount of love and compassion for the people of Japan. This world-wide outpouring of love will overcome the negative effects of the devastating and malicious act that the evil perpetrators had hoped to create. 2) Secondly, many whose soul contracts called for them to sacrifice their lives in order to inspire compassion in others, will not have died in vain. Their deaths will be an inspiration to many others and will serve to pull many diverse people across the globe to stand together in the face of negativity. 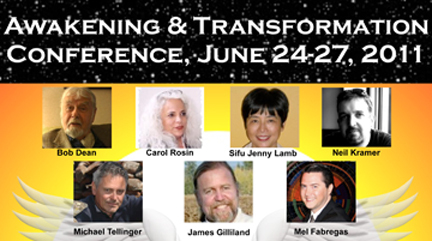 3) This event will ignite people around the world to learn the truth that an insane cabal is losing their long held grip of control over humanity and has now resorted to destroying what they can no longer dominate. The annihilation of planet Earth and humanity will not be allowed to proceed. Guaranteed! 4) Each time these dark forces try to pull another staged catastrophe, they further expose themselves and only assist in awakening more and more people to the truth. Ultimately, negative events actually serve the purpose of stirring people into positive action, that ironically, more positive events do not –– which offers a perfect example of the duality consciousness we are trapped within this 3-D reality. In other words, from tragedy comes triumph. 5) The people of the Earth will now demand an end to the use of nuclear power which will pave the way for new energy technologies to finally begin to emerge after decades of suppression by those who have controlled and dominated the industry. Nuclear energy, of course, has been a major part of the modern warfare arsenal with various missiles, bombs and other unimaginable weapons meant to kill hundreds of thousands of people. Nuclear technology is both dangerous and unnecessary and will soon vanish from the face of the Earth. We are rapidly moving towards a tipping point on planet Earth where those at the top will increasingly find themselves falling to the bottom. While in turn, individuals the world has never heard of will come out of hiding to take on a prominent roles to lead us into the Golden Age. There may likely be more attempts to create yet more fear and paranoia about radiation by exploiting these Japanese nuclear disasters. It will not only be emanating from the mainstream media but the alternative internet media, as well. It is absolutely paramount that you DO NOT BUY INTO THE HYPE AND FEAR! No matter what! Fear is a weapon and has been used for eons and eons against humanity. Recognize that fear is a tool that is being ramped up to all time highs and thankfully, those days are coming to an end, due to expanding human consciousness. Since the 1940's, we have been steadily and religiously programmed to be absolutely terrified of the word, "radiation". Particularly, during the false flag days of the Cold War. To this day, radiation invokes a great deal of anxiety, if not outright fear at, just at the mere mention of the word. Although admittedly dangerous, it is important to keep radiation in its proper perspective. During World War II, as the US military was using its own personnel as guinea pigs to test the effects of nuclear fallout from atomic weapons, an important discovery was made. Those whose psychological profile showed a great deal of fear, developed radiation sickness. Those whose psychological profile did not demonstrate a high level of fear, suffered no ill effects from the radiation. Miraculously, the same held true for some of the Japanese people who were subjected to the nuclear bombs dropped in Hiroshima and Nagasaki. A surprising number of people did not suffer the ill effects of radiation poisoning who demonstrated a great sense of fearlessness in their psychological makeup. Thus, we can see that fear is our ultimate enemy. At this point in our history, we are in the highest state of consciousness ever seen on this planet. This consciousness is known as –– the consciousness of co-creation. This ninth level consciousness makes us potentially more powerful than ever before. It is important that we always look to the Divine or the higher realms and ask for help. All of these seemingly horrific events are merely pushing us towards opening of our hearts and allowing the Divine to find the solutions to all the Earth's problems. And consequently, all of our problems. The answers that we seek are mere millimeters or mere moments away as we shift out of duality consciousness and into unity consciousness, back home with the Divine. This perfect outcome is the ultimate destiny for humanity and we are now witnessing this process unfolding with front row seats. Trust that you will be well taken care of during this collapse of a false 3-D paradigm and the emergence of new paradigm –– a whole new Earth. And learn to let go of the fear. Simply put –– fear will no longer serve you as we all move together into the Golden Age that is now upon us.